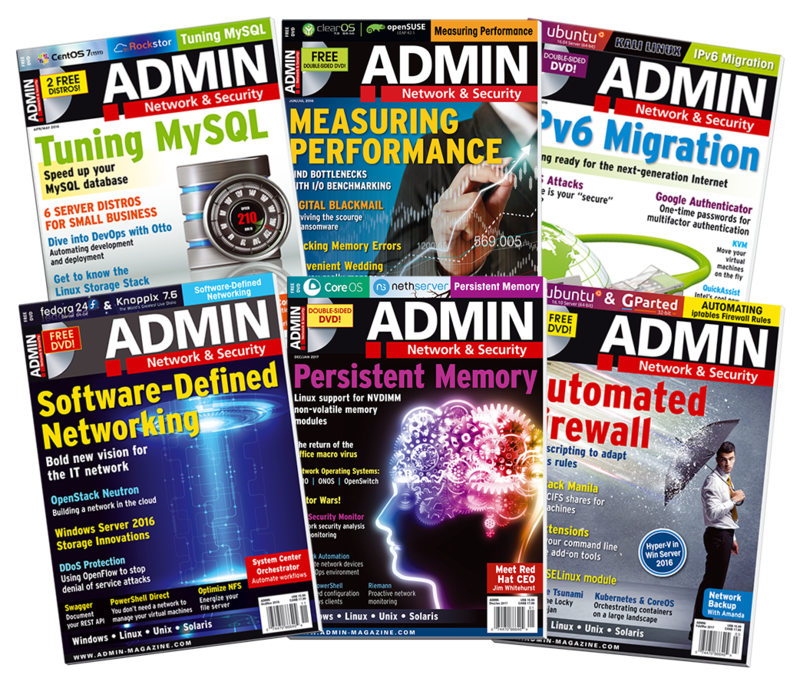 This issue gives you tips to speed up your MySQL database. Benchmarking is an essential part of optimizing. In this issue we help you take the first steps. We look at automatically generated iptables rules, ransomware, writing SELinux modules, and more. When the payment for your order has been verified, you will be given access to these issues from the digital access portal on the ADMIN website. Simply use the login details you used for our webshop to log in. You will be able to download the single PDFs from this account.